While all of these things can be an important rite of passage and can make parents’ lives easier, newly manufactured products actually expose babies to a significant toxic load. Babies are born with sensitive immature immune systems, organs and detoxification systems. It’s important to be conscious of this and make an effort to keep the baby’s environment as natural and non-irritating as possible. One way to help do this is by using simple non-toxic baby care products. The easiest and most affordable way to ensure you’re using the most natural approach is to make your own products at home. It’s easy and fun, plus you get to choose which natural oils and herbs you like best. This is a lovely natural diaper cream that is high in fat-soluble vitamins and gentle antibacterials. It is very protective on the skin and works well with cloth diapers. Mix shea butter, coconut oil and beeswax in a double boiler or glass bowl over a small saucepan with an inch of water. Bring water to a boil and melt the ingredients. Remove from heat and add the fermented cod liver oil, zinc oxide, bentonite clay and essential oil (if using). Stir carefully as it starts to cool. Pour into the container you are going to use to store it and stir a few more times as it cools. Store in an airtight container in a cool, dry place for up to 3 months. Use as needed for diaper rash. Commercial baby oil is made from mineral oil left over from petroleum manufacturing processes. Mineral oil has been associated with up to 23 different illnesses. This is not something that should be going on a soft little baby’s skin. Try this natural alternative instead! Add herbs into a mason jar, and fill with oil. The jar should contain 1/3 herbs and 2/3 oil. Put on the lid and leave the jar sitting in a cupboard for 2 weeks, inverting the jar each day to keep the herbs well mixed. When oil is done infusing, strain oil with a fine mesh strainer, a cheesecloth, or a thin clean T-shirt. Using a small funnel add the strained oil into a clean container of your choice. If desired add 5 drops of pure chamomile essential oil. This is a gentle wash that won’t irritate or dry out baby’s skin. Simply combine ingredients in a jar or bottle and use a small amount as needed. Commercial baby wipes are expensive, and often contain alcohols and perfumes that aren’t great for sensitive skin. Save some cash and try these gentle natural baby wipes. For the wipes: There are several different ways you can make your own soft, cloth wipes. Add solution to a spray bottle. Shake well before each use. Spray solution onto cloth wipes before using. You can also spray directly onto child’s diaper area, then wipe with a dry homemade wipe. Add wipe solution to a squirt bottle. Shake before use, and squirt directly onto cloth wipes. A tincture is similar to a soothing herbal tea, except that it includes vegetable glycerin as an extractor and preservative. This is very gentle and entirely non-toxic. Place the herbs in a glass jar. Pour in the glycerin and add the water. Shake the jar, cover and set in a cool dark cupboard for about 6 weeks. Strain the mixture into a small amber glass vial which can be kept in your purse for on-the-go use. Use as needed, a few drops at a time. Keep baby’s skin happy with this non-toxic, fragrance-free baby powder that is extremely easy to make. This also makes a great foot or body powder for adults. Store in a jar with a sprinkle top, such as a parmesan cheese dispenser. Hey Buddy!, I found this information for you: "6 Easy Non-Toxic Homemade Baby Care Products". 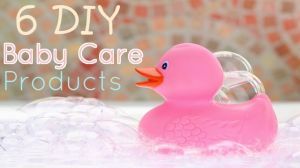 Here is the website link: https://www.thealternativedaily.com/6-easy-non-toxic-homemade-baby-care-products/. Thank you.